Newly appointed UK Senior Sales Director at Kellogg’s Chris Silcock talks about his first job in a local supermarket aged 16, key role models, the big challenges facing global food and drink manufacturers and his favourite breakfast in an interview with HW’s Senior Consultant (Global Consumer Practice) Stuart Richards. 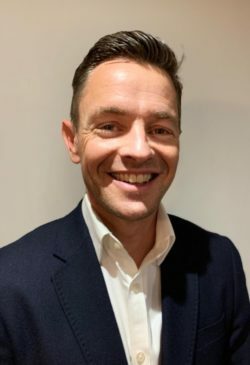 You have recently joined Kellogg’s as UK Senior Sales Director. Can you tell us about your new role? I am leading the commercial agenda with our customers in the UK, driving the health and wellness strategy and rolling out our exciting NPD. We have some ambitious numbers to deliver and I will be driving the commercial capability with my team across commercial strategy, national account management and field sales. I had a paper round aged 13 but my first ‘proper’ job from the age of 16 was working at Asda’s Leeds Killingbeck store in the café and the petrol station during my A levels. I then went to university in Manchester and used to come back in the holidays and work in the same store. I had a fantastic time there and met some really good people. What did it teach you about business? I enjoyed interacting with customers; when you are dealing with customers in store they tell you it as it is – they don’t hold back at all. You can get to the nub of what customers want pretty quickly if you spend time in stores. The other thing I learned was the importance of store standards – how things are presented, cleanliness, tidiness, attention to detail, and how frustrated customers get when a product is not there – good retail basics. It was a great place to get a grounding in retail. What was it that attracted you to the groceries/food and drink sector? I had always planned to go travelling after graduating and rather than working in store for a year to save up I badgered Asda House for a job for a year. They tried to put me on the graduate scheme but I didn’t want to do it, I just wanted to work for a year and get experience in the central side of retail. I was taken on by Andy Clarke who was running the produce division at the time; he went on to become the Chief Executive. I worked as a trading assistant in the buying department, firstly on produce and then on bakeries. I did that for a year as I said I would and then I left. I just saw a different side of retail, the commercial deals that were being done, some of the volumes that I saw when you are dealing with an organisation that size and you are supplying all stores, it was mind blowing. I loved the pace of it, the speed of the decisions, the urgency with which the business was operating. But it was all done with a fun, open culture. That was the hook. Then I went travelling for 15 months (US, Pacific, SE Asia) and was running low on cash on the way home in Thailand. I sent an email to Andy Clarke and said I’d love to come back and I landed a job in the supply chain. What I consider to be my “continuous” career started then. After nearly 15 years at Asda what persuaded you to move from retail to manufacturing with Coca Cola? The director who took me on at Coca Cola said ‘we like the way in which you collaborate with suppliers and we think you could do a great job for us at Coca Cola’. It all went from an initial conversation with him over a beer one evening about careers and what he was doing and what I was doing and I started thinking seriously about it. I had a fantastic time at Asda with a number of roles but I just developed itchy feet; I just wanted to do something else. Surprisingly, there still aren’t a lot of people who successfully switch between retail and manufacturing so I thought that would give me a unique selling point on the CV. I also thought it would be good to see both sides (retail and manufacturing). What is the biggest lesson you have learned in business during your career? That success is delivered through others in any leadership position. I did some coaching at Asda and learned the value of listening to people, letting them know you are listening to them properly so they have time to get across their thoughts and ideas, that you are not rushing them. That was huge for me, transformational, and I have used it ever since. Who have been your key role models/mentors? Definitely first on my list would be my dad, who taught me when I was growing up the value of money and that you have to work for what you want in life. He worked in the brewery industry, running pubs, and I first gained my interest in business and management from him. Barry Williams, a boss when I worked in the commercial department at Asda, was very straight talking, knew the numbers and the detail of the business inside out, but had a very natural way with people, and I learned a lot from him. He also showed me that you can take risks on people; I was unproven as a category director but he promoted me and took a risk on me, which I hope he would say paid off for him! I also learned lots from my boss at Coca Cola, Leendert den Hollander; the energy and drive he has and the positive impact that has on the business, and the confidence it gives people and customers. He is a straight talker, very open, very optimistic, with a real urge and desire to get things done. He also demonstrated the importance of having a really strong network. I learned a lot from him, from that perspective. What single achievement are you most proud of – in business or your personal life? It’s got to be bringing up two lovely kids – I’ve got an eight year old lad and a six year old girl. That’s far and away the biggest achievement, the family that my wife and I are bringing up – two energetic, crazy kids. What is the toughest problem you have had to solve in your career and how did you tackle/overcome it? Getting the best out of the team is always your biggest and most rewarding challenge. There have been times in my career where I have given myself quite a hard time for how I was leading the team. The biggest change I have made to overcome any problems leading people is through good listening and being really clear and open with people. Kellogg’s boasts brands and products we all know and love and have grown up with. Given this, what are the key drivers for new product development? I think it is our responsibility as the market leader to innovate, and health and wellness are the biggest areas to do this. This is how Kellogg’s started life, and it’s our responsibility to lead in this area. We are also looking at which occasions through the day can be satisfied by our products. These are the key factors that will drive the expansion of our portfolio over the next few years. What are the big issues facing the cereal market at present? I see things more as opportunities than issues; I’m very optimistic. Changing customer habits, food on the go – that gives us an opportunity to innovate in single serve, to look at expanding into new channels. The focus on health and wellness means as part of a leading cereal manufacturer globally we’ll have the opportunity to innovate with our customers on a whole host of exciting initiatives. We are also currently scenario planning for Brexit as you would expect. How has food and drink consumer purchasing behaviour changed over the past 20 years and how have global producers and retailers responded? The consumer landscape is changing rapidly. Consumers are shopping more frequently, with smaller baskets. Where breakfast is bought and consumed is evolving all of the time, and “snacking” as a concept has seen huge growth and still has a lot of untapped potential. The convenience sector is growing, as are sectors like coffee and food on the go. We are seeing a lot of acquisition and consolidation across both retail and manufacturing. In order to flourish as a business in these rapidly changing times, we have to be at the leading edge of consumer and shopper led insight and this involves having world class data and analytics capability. What do you expect the key advances in technology will be over the next decade that will have the biggest impact on consumer behaviour? The rise and rise of the mobile phone from a shopping perspective will probably be the biggest continual shift; pricing transparency across different retailers, and the ability to order and have products delivered when it suits you. So the move away from the big shopping mission will continue. Different fitness applications, the way in which technology can monitor your health and wellbeing, means people will ultimately have personalised, tailored nutrition and wellness plans based on what you need on that particular day or at that particular stage of your life. Your phone will be able to tell you what you should be eating, how much of it you should be eating and why, and then you will be able to shop and consume by the same phone. It’s mind blowing when you think about it. Personalised health and wellness will be huge. What do you think is/are currently the biggest single challenge(s) for global food and drink leaders? What do they need to do now to keep ahead of the game? I would say it’s using analytics and insight to create products and to provide packaging solutions which will resonate with tomorrow’s consumer, and to build sales strategies to maximise the opportunities in the changing environments in which the product is bought. In order to do this successfully, global players need to invest in technological capabilities as well as traditional category and commercial capabilities. Investing in the right technology will become more and more important. This is an easy one. Crunchy Nut Cornflakes with whole milk. Outside work what else do you enjoy doing in your free time? Holidays is number one, spending time with the family. Our favourite destinations are the south of France and the south of Spain. Plenty to do for the kids, hot weather, and nice and easy going; nothing too ‘posh’, just down to earth. I enjoy a bit of cycling and running as well. What targets have you set yourself for 2019 – both personal and business? To hit and exceed the plan we have at Kellogg’s is number one, and get the team working together in the right way. To become our customers’ preferred supplier is a big target of mine. From a personal perspective, getting back to racing regularly on my bike. Stuart Richards is a Principal Consultant in the Global Consumer Practice at HW Global Talent Partner. Contact him at stuartr@hwglobalpartner.com or +44 (0) 161 249 5170 or +44 (0) 7787 254 600.